Thomas Lamar II was born circa 1670 at Maryland, USA.1 He married Martha Blanford, daughter of unknown Blanford, in 1699 at Prince George's, Maryland, USA.2 Thomas Lamar II died before 31 January 1748 at Prince George's, Maryland, USA, as his will was probated on this date. He was a witness Thomas Lamar's wife appears to have died and he married Ann Pottinger. He was the father of two sons, presumably the eldest, Thomas, Jr., being the son of the first wife and the youngest, John, being the son of the second wife. with Thomas Lamar at Maryland, USA.1 It would appear that the elder son, Thomas Lamar II, commenced the operation of a portion of his father's plantation at an early age and that he prospered. In 1709, his wife [Martha Blanford] inherited certain property under the will of her sister, Eliza Blanford. . . and as we have noted, he inherited one-half of his father's land under the will of Thomas Lamar, Sr., referred to above. A large number of land transactions appear upon the records of Prince George County by which it is known that be acquired about three thousand acres of land, situated largely upon Rock Creek and Muddy Creek, near the present city of Rockville, in Montgomery County, Maryland. [S750] Harold Dihel LeMar, Lamars in America. [S750] Harold Dihel LeMar, Lamars in America, page 34. [S750] Harold Dihel LeMar, Lamars in America, page 35. [S750] Harold Dihel LeMar, Lamars in America, pages 33 & 35. [S750] Harold Dihel LeMar, Lamars in America, pages 33 & 41. [S750] Harold Dihel LeMar, Lamars in America, page 33 & 35. 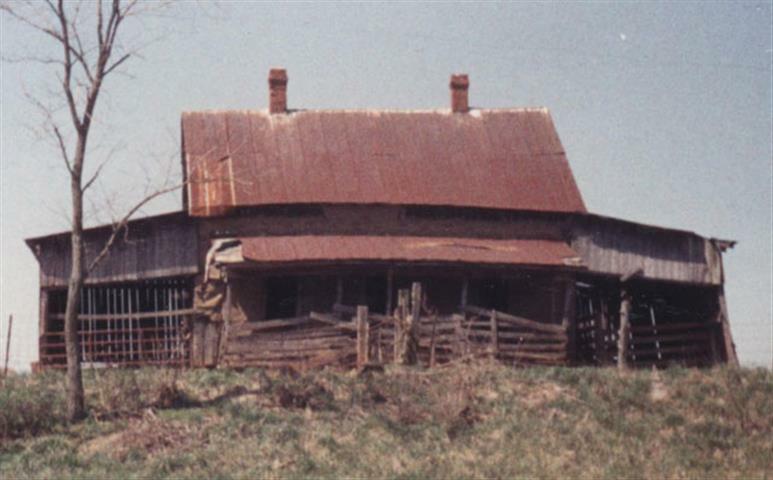 Martha Blanford was born in 1682 at Prince Georges, Georgia, USA. She married Thomas Lamar II, son of Thomas Lamar and Mary Pottenger, in 1699 at Prince George's, Maryland, USA.1 Martha Blanford died in 1755 at Frederick, Frederick, Maryland, USA. It has been stated that Thomas Lamar II's wife was a sister of the Rev. John Urquhart, Rector of All Faith Parish in St. Mary's County, but the marriage record and the record of the will of her sister, Eliza Blanford, show tltis belief to be incorrect and her surname to have been Blanford or Beven.1,2 Richard Beven's sisters Martha's and Eliza's surnames was Blanford. From History of the Lamar Family: "In 1709, his wife [Martha Blanford Lamar] inherited certain property under the will of her sister, Eliza Blanford, who also bequeathed certain property to a brother, Richard Beven..."1 As of 1699,her married name was Lamar.1 It would appear that the elder son, Thomas Lamar II, commenced the operation of a portion of his father's plantation at an early age and that he prospered. In 1709, his wife [Martha Blanford] inherited certain property under the will of her sister, Eliza Blanford. . . and as we have noted, he inherited one-half of his father's land under the will of Thomas Lamar, Sr., referred to above. A large number of land transactions appear upon the records of Prince George County by which it is known that be acquired about three thousand acres of land, situated largely upon Rock Creek and Muddy Creek, near the present city of Rockville, in Montgomery County, Maryland. [S751] DAR, "GA DAR Historical Collection 1924", page 17. 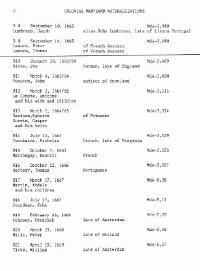 Thomas Lamar was born between 1635 and 1640 at Anjou, France. He married Mary Pottenger between 14 September 1663 and 24 November 1665 at Maryland, USA. Thomas Lamar married Ann Pottenger circa 1690. 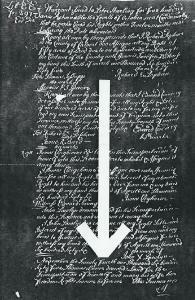 Thomas Lamar died on 29 May 1714 at Prince George's, Maryland, USA. Thomas Lamar and Mary Pottenger filed a demand for land on 24 November 1665 at Maryland, USA, that read "November the twenty fourth one thousand six hundred sixty five, Thomas Lamar demand land for the transportation of himself and Mary his wife her freedom Rights Sworne before me. Tho. Loumar." [S750] Harold Dihel LeMar, Lamars in America, page 21. [S747] Jeffery & Florence Wyand, Colonial Maryland Naturalizations. 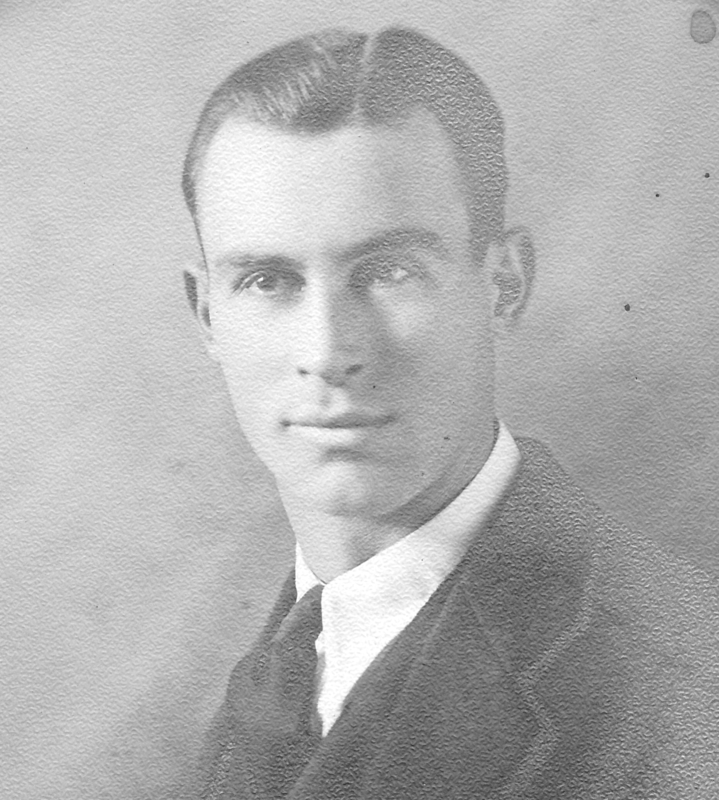 [S753] Edward Mayes, Branch of family of Lamar with related families. 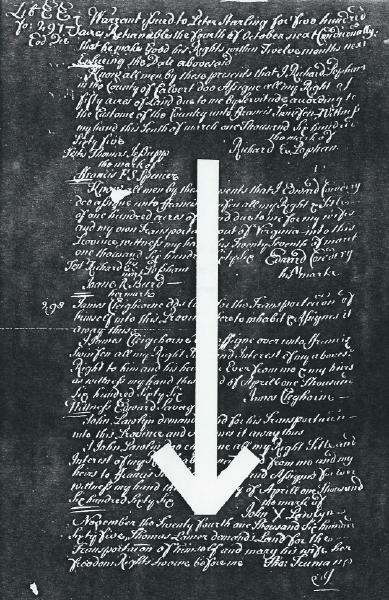 [S752] Unknown testator will, Will - Lamar, Thomas 1712, unknown repository. Mary Pottenger married Thomas Lamar, son of unknown Le Maire, between 14 September 1663 and 24 November 1665 at Maryland, USA. As of between 14 September 1663 and 24 November 1665,her married name was Mary Lamar. Mary Pottenger and Thomas Lamar filed a demand for land on 24 November 1665 at Maryland, USA, that read "November the twenty fourth one thousand six hundred sixty five, Thomas Lamar demand land for the transportation of himself and Mary his wife her freedom Rights Sworne before me. Tho. Loumar." Ann Pottenger was born in 1645. She married Thomas Lamar, son of unknown Le Maire, circa 1690. [S750] Harold Dihel LeMar, Lamars in America, page 36. [S750] Harold Dihel LeMar, Lamars in America, page 33. [S750] Harold Dihel LeMar, Lamars in America, pages 33 & 36. [S750] Harold Dihel LeMar, Lamars in America, pages 33& 36. [S750] Harold Dihel LeMar, Lamars in America, page 22. 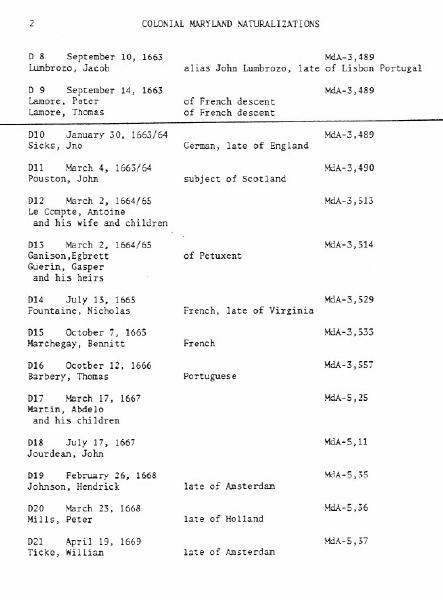 [S750] Harold Dihel LeMar, Lamars in America, page 22 This will was filed for probate in Calvert County on March 31st, 1694. [S751] DAR, "GA DAR Historical Collection 1924", page 18; from Bible in possession of Mrs. Casneau McLeod of Princeton, NJ. [S751] DAR, "GA DAR Historical Collection 1924", from Bible in possession of Mrs. Casneau McLeod of Princeton, NJ. Rebecca Kelly was born in 1763.1 She was born in 1774 at Georgia, USA. She married Basil Lamar, son of Capt. John Lamar RS and Lucy Appling, in 1794. Rebecca Kelly died on 22 August 1829. Her married name was Lamar. [S751] DAR, "GA DAR Historical Collection 1924", page 18. Basil Lamar was born in 1764. He was born in 1771.1 He married Rebecca Kelly in 1794. Basil Lamar died on 5 May 1827 at Georgia, USA. He Served in Ga. Militia: received grant of land for his service. Reference 'Roster of REvolutionary Soldiers in Georgia', page 106. [S748] Unknown author, "SAR Application for LAMAR, John by Wm P Maroski." 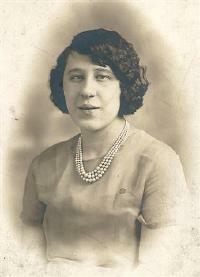 Her married name was Barfield. William was born in Sep 1818 in Mississipp; his father was born in Georgia and his mother was born in South Carolina. Hw owns his own house. Margaret was born in Oct. 1823 in Ohio; has had 7 children and all were living. Both parents were born in New Jersey. [S860] Marriage Record - BARFIELD, Wm & BACON, Margaret. Find A Grave Memorial# 138125882. [S498] 4 June 1880 unknown record type, unknown repository address. [S858] 7 June 1900 Federal Census, unknown repository address, riginal data: United States of America, Bureau of the Census. Twelfth Census of the United States, 1900. Washington, D.C.: National Archives and Records Administration, 1900. T623, 1854 rolls. William Millward was born circa 1808 at England. He was born in 1808 at England.1 He married Hannah Foulks. William Millward died between 1858 and 1900 at Portland, Erie, Ohio, USA. 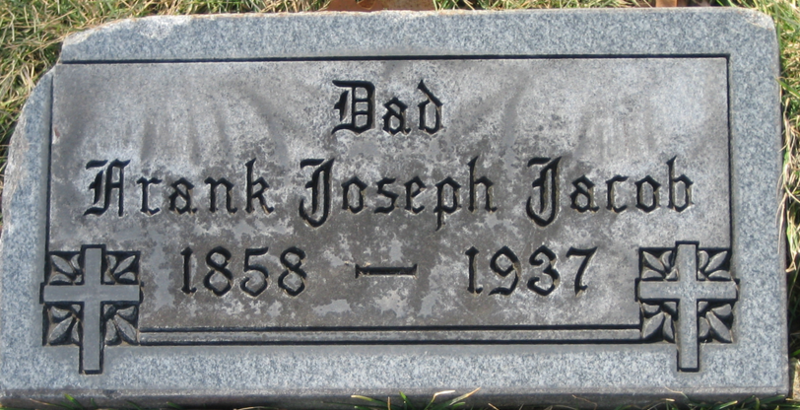 He died between 1863 and 1900 at Erie, Ohio, USA. [S500] 5 January 1920 Federal Census, unknown repository address, 1920 census record for daughter Anna shows his birth was in Canada and he spoke English. [S1110] 3 Sep 1850 Federal Census, unknown repository address, Wm Millward age 37, married, labourer born England, cannot read or write. [S620] Thomas GARGAN, Death Record - GARGAN, Thomas 1927-2002 OH. [S616] 4 APr 1940 Federal Census, unknown repository address, name in 1940 census was Tommy B Ward. [S550] Stella L Ward, Death Record - WARD, Stella L.
[S448] 18 apr 1910 Federal Census, unknown repository address. [S547] 1920 Federal Census, unknown repository address. "United States Census, 1920," index and images, FamilySearch (https://familysearch.org/pal:/MM9.1.1/MDP7-J4C : accessed 20 June 2012), Peter Yacchari, , Hamilton, Ohio. [S935] Louise JACOB, Death Certificate - JACOB, Louise (Fischer) 1856-1937, father of Louise Fischer Jacob was Geo. Fischer born Germany. [S935] Louise JACOB, Death Certificate - JACOB, Louise (Fischer) 1856-1937, Mother of Louisa Jacob was Urslan Weber born Germany. [S7] Rose Zoz, "GEDCOM, ZOZ, Rose", Ancestral File, Quoting from Helen Bennett. [S935] Louise JACOB, Death Certificate - JACOB, Louise (Fischer) 1856-1937. [S7] Rose Zoz, "GEDCOM, ZOZ, Rose", Ancestral File, Quoting Helen Bennett. Plot: Section 1, Lot 145, Grave 10. [S963] 8 Jun 1880 Federal Census, unknown repository address, Year: 1880; Census Place: Cincinnati, Hamilton, Ohio; Roll: 1026; Family History Film: 1255026; Page: 477C; Enumeration District: 145; Image: 0321. [S961] 4 June 1900 Federal Census, unknown repository address, Year: 1900; Census Place: Cincinnati Ward 11, Hamilton, Ohio; Roll: 1275; Page: 3B; Enumeration District: 0084. [S962] 4 Apr 1930 Federal Census, unknown repository address, Year: 1930; Census Place: Cincinnati, Hamilton, Ohio; Roll: 1809; Page: 7A; Enumeration District: 0107; Image: 442.0;. [S428] Jack Carl Wood, "Family Grp Sheet - Jack Carl Wood", Ancestral File, states marriage to Cecile Moore was second marriage. 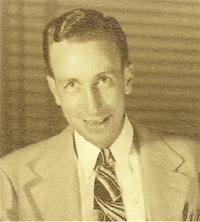 [S428] Jack Carl Wood, "Family Grp Sheet - Jack Carl Wood", Ancestral File, Jack Carl Wood reported that his uncle Frank told him this marriage only lasted a month or less. 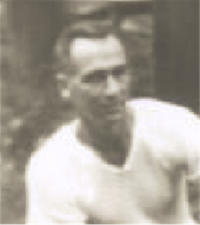 [S428] Jack Carl Wood, "Family Grp Sheet - Jack Carl Wood", Ancestral File. [S813] 16 apr 1910 Federal Census, unknown repository address. [S810] Jan 1920 Federal Census, unknown repository address. [S812] 1 Jun 1925 NY State Census, Cincinnatus, Cortland Co., NY, New York State Archives; Albany, New York; State Population Census Schedules, 1925; Election District: 01; Assembly District: 01; City: Cincinnatus; County: Cortland; Page: 1. [S879] 5 apr 1930 Federal Census, unknown repository address, 1930; Census Place: Cincinnatus, Cortland, New York; Roll: 1418; Page: 2A; Enumeration District: 0001;. [S880] 4 April 1940 Federal Census, unknown repository address, 1940; Census Place: Cincinnatus, Cortland, New York; Roll: T627_2520; Page: 5A; Enumeration District: 12-1. [S932] 12 Jul 1870 Federal Census, unknown repository address. Find A Grave Memorial# 36930328. [S16] Interview, Richard G. Wood, July 26, 1997. "United States Social Security Death Index," database, FamilySearch (https://familysearch.org/ark:/61903/1:1:VM6X-T46 : 19 May 2014), Frank Wood, Aug 1984; citing U.S. Social Security Administration, Death Master File, database (Alexandria, Virginia: National Technical Information Service, ongoing), unknown repository. [S811] 25 Apr 1930 Federal Census, unknown repository address. Her married name was Wood. 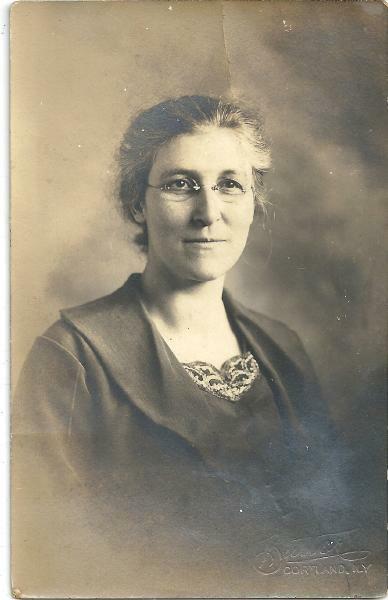 She was a witness At some time during 1899 Carl met Addie Roberta Allen, daughter of Justin W. Allen and his wife Ellen Nora Vearrier, prosperous farmers of Shell Rock, Butler County, IA. Addie's father, "Judd" Allen had served as County Assessor of Butler County for several terms and was the owner of 320 acres of prime farm land. Carl and Addie were married one June 5th, 1900 by Reverend Fletcher E. Hudson of the First Baptist Church of Shell Rock, IA. 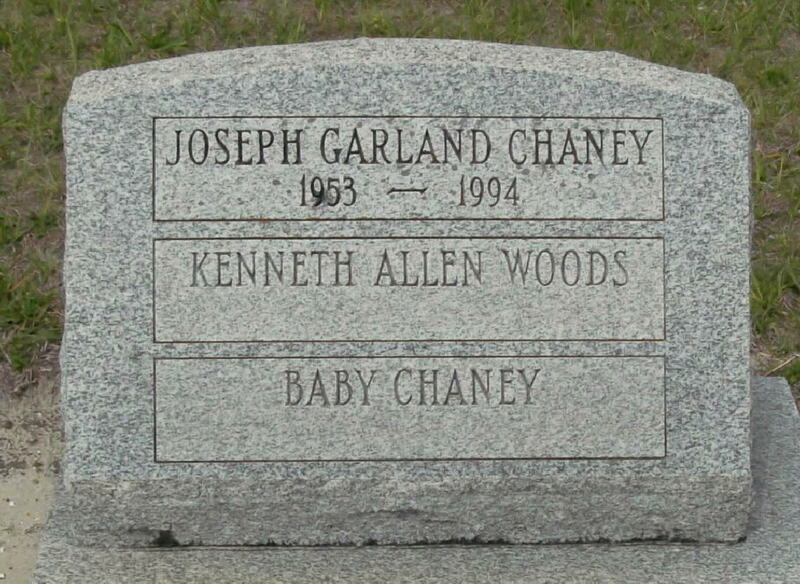 From 1900 through 1912 he and his growing family lived at 2918 First Street, Sioux City, IA, where their three sons, Kenneth Allen, Dean Erwin, and Frank Charles Wood were born. 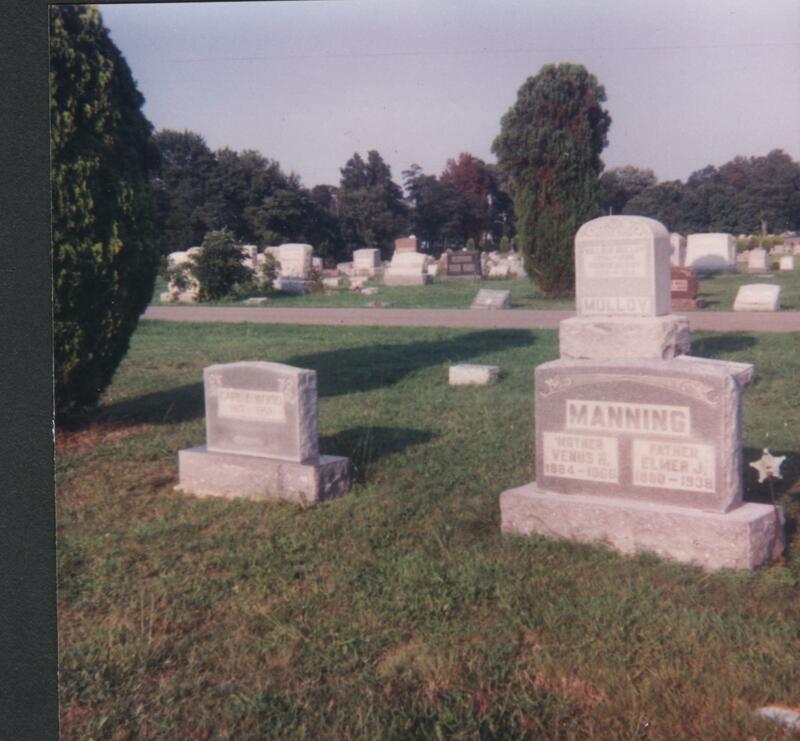 [S754] Find-a-Grave, online http://www.findagrave.com, Find A Grave Memorial# 83687448. [S230] Charles N. Sinnett, Thompson Family in Maine, 183. [S428] Jack Carl Wood, "Family Grp Sheet - Jack Carl Wood", Ancestral File, location of marriage. [S555] Marriage Record, Wood, Carl E & Allen, Addie 1900.
with Lucy Ann Turner on 12 June 1892 at Union Church, Science Hill, Pulaski, Kentucky, USA.8 Carl Erwin Wood was a witness when Frank Clarence Wood was PULASKI COUNTY, KY ORDER BOOK 17:423, Wednesday, 27 December, 1893. James Denton P.J.P.C.C. on 27 December 1893 at Somerset, Pulaski, Kentucky, USA. 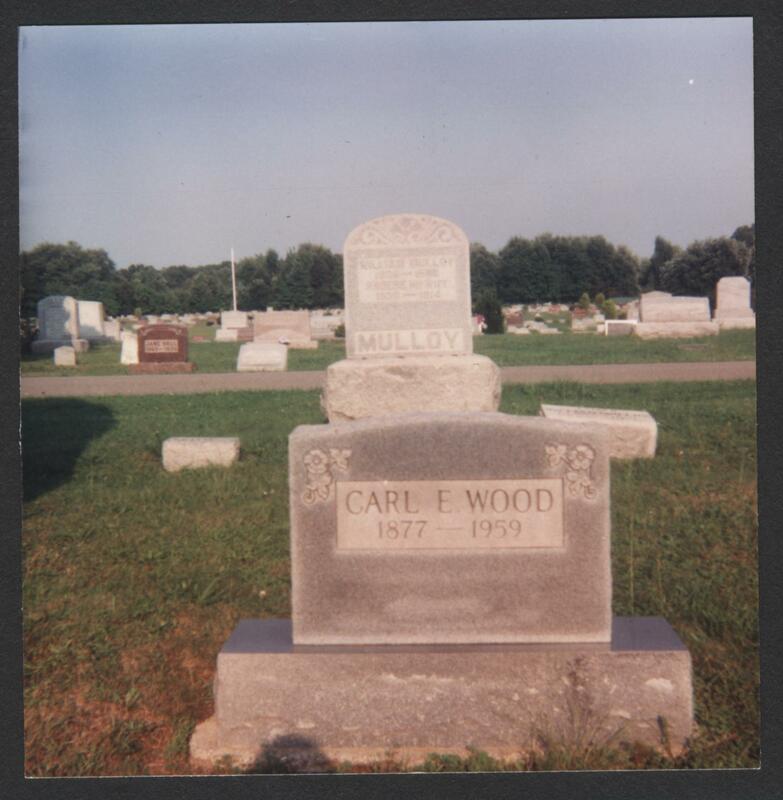 Carl Erwin Wood lived in 1895.15 He was realestate After a new survey and what must have been long discussions between the four WOOD children over the division of the approximately 248+ acre Lucy A. Wood farm in Science Hill, KY, on February 18, 1898 Frank C. and Emma (Ivens) Wood of Milwaukee, Wisconsin, Walter G. Wood, Mary L. (Wood) McGriff and husband Francis Brady McGriff of Science Hill, KY, deeded their brother, Carl Erwin Wood, his first 50 acre tract of their late mother's farm for $1.00. The Lucy A. Wood farm stood at the corner of Hamm Road and the Science Hill - Union Church Road on the waters of Pitman Creek. Carl's tract was situated on the Science Hill - Union Church Road at James Langdon's Corner and adjoining Langdon's lands. on 18 February 1898 at Science Hill, Pulaski, Kentucky, USA. He was Later that year he moved from Science Hill, KY, to Sioux City, IA, where worked first as a locomotive fireman (1899-1902) and then was promoted because of his mechanical ability to full engineer ca. 1902/3 on the Chicago, Milwaukee & St. Paul Railroad, serving in that capacity until ca. 1918. in 1899 at Sioux City, Woodbury, Iowa, USA.8 He At some time during 1899 Carl met Addie Roberta Allen, daughter of Justin W. Allen and his wife Ellen Nora Vearrier, prosperous farmers of Shell Rock, Butler County, IA. 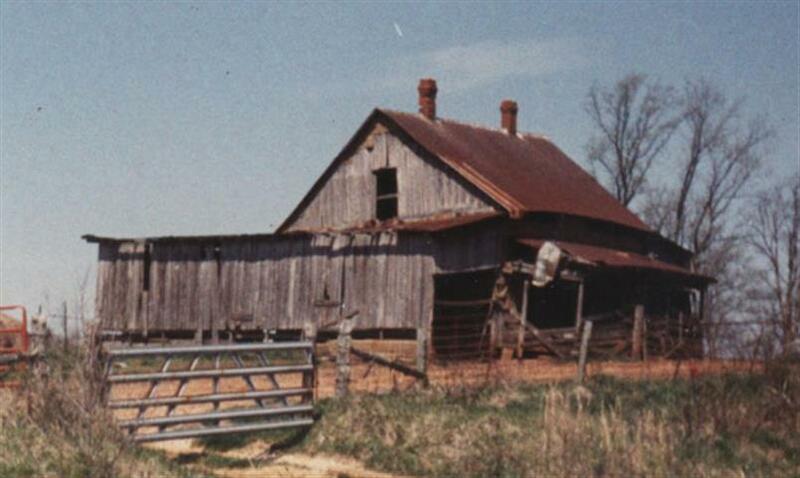 Addie's father, "Judd" Allen had served as County Assessor of Butler County for several terms and was the owner of 320 acres of prime farm land. Carl and Addie were married one June 5th, 1900 by Reverend Fletcher E. Hudson of the First Baptist Church of Shell Rock, IA. From 1900 through 1912 he and his growing family lived at 2918 First Street, Sioux City, IA, where their three sons, Kenneth Allen, Dean Erwin, and Frank Charles Wood were born. By 1908, his older brother, Walter G. Wood, had also moved to Sioux City, IA, from Science Hill, KY. On Sept. 19, 1908 Walter G. Wood sold Carl E. and Addie Wood two additional tracts of the Lucy A. Wood farm, one of 50 acres, one of 40 acres, for $1,000, making their holdings 140 acres. One peculiarity of this transaction was that Walter G. Wood continued to pay his sister Mary L. McGriff of Litchfield, Nebraska, $30 per month until the late summer of 1919 for the 1898 purchase of the 40 acre tract. in 1899.8 He witnessed the marriage of Walter George Wood and Mabel Maud McCord on 24 January 1909 at Sioux City, Woodbury, Iowa, USA.16,17 Carl Erwin Wood was Railroad engineer shown as occupation on census. 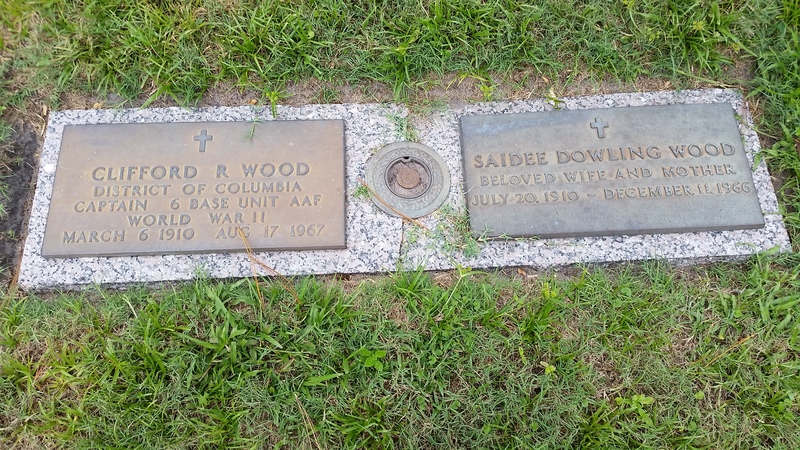 on 16 April 1910.18 He and Addie Roberta Allen lived on 16 April 1910 at Sioux City, Woodbury, Iowa, USA, Carl's occupation shown as asteam railroad engineer.19 Carl Erwin Wood lived on 10 October 1910 at Shell Rock, Butler, Iowa, USA.8 He A picture taken of Carl, Addie, Dean and Frank with children less than five years old was taken in Souix City IA. [S10] US Census, 1910, Sioux City Townshop, Woodbury County, Iowa., Page 121. Supervisor's District No. 11, Enumeration District No. 200, Ward of City 5. Enumerated on April 16, 1910. [S428] Jack Carl Wood, "Family Grp Sheet - Jack Carl Wood", Ancestral File, Information on Bethel Ohio as birthplace. [S815] Birth Certificate - WOOD, Carl Erwin 1876. [S967] Marriage Record - WOOD, Carl & MANNING, Venus 1946. [S816] Carl WOOD, Death Certificate - WOOD, Carl Erwin 1959. Find A Grave Memorial# 146901509. [S10] US Census, 1910, Sioux City Townshop, Woodbury County, Iowa. [S814] Carl Erwin WOOD, Draft Card, WW1, WOOD, Carl Erwin 1919, Draft Card, WW1, WOOD, Carl Erwin 1919. [S534] 2 Apr 1940 Federal Census, unknown repository address. Clifford Ray Wood appeared on the US Census of 13 April 1940 with roommates Grover C King and J Louis Zebooker at Washington, District of Columbia, USA. [S949] Marriage Record: WOOD, C R & DOWLING, S E 1940: Application for Marriage Licenses, published in The Washington ost (1923-1954) 21 Dec 1940. [S436] Unknown compiler, "Funeral Home Book C R Wood", Ancestral File. Find A Grave Memorial# 145456566. [S532] Apr 1940 Federal Census, unknown repository address, ED130A p.8B. [S984] Clifford Ray WOOD, Draft Registration WOOD, Clifford R 1940, 44004_09_00026. [S754] Find-a-Grave, online http://www.findagrave.com, Find-a-Grave Memorial 26111495. 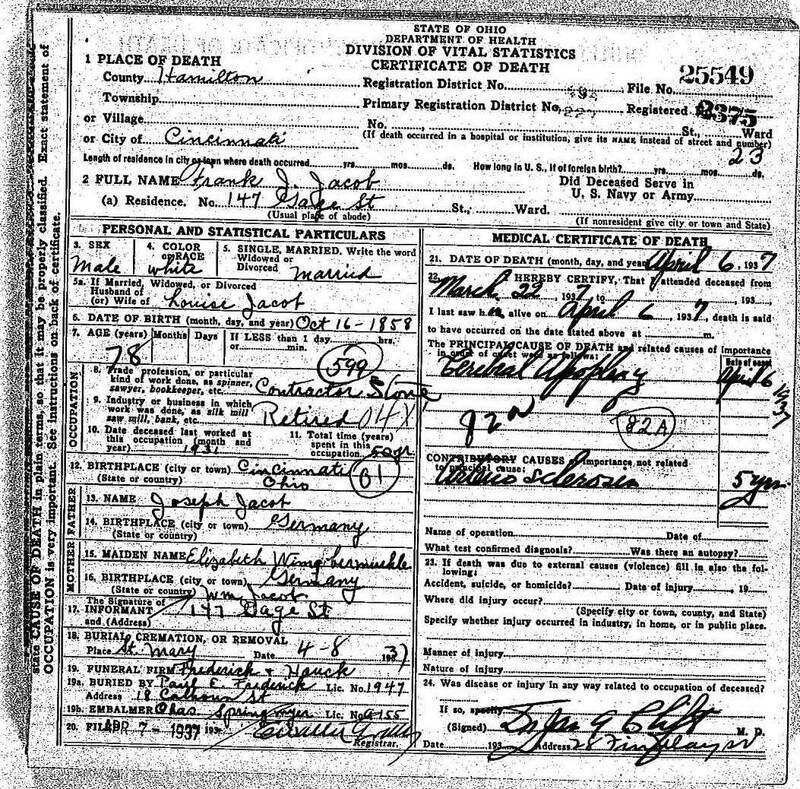 [S888] Kenneth Allen WOODS, Death Certificate - WOODS, Kenneth Allen 1961, Death certificate shows burial in Ft. Pierce but his grave is in Port Mayaca about 20 miles from his home in Okeechobee.